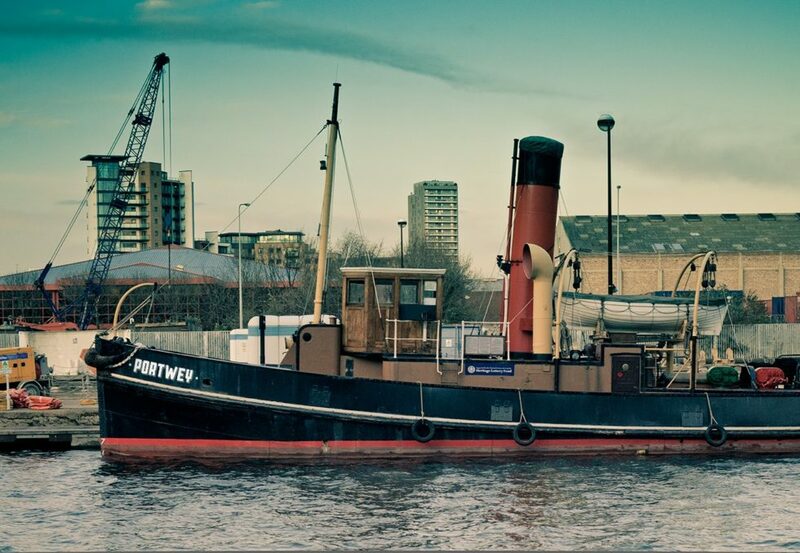 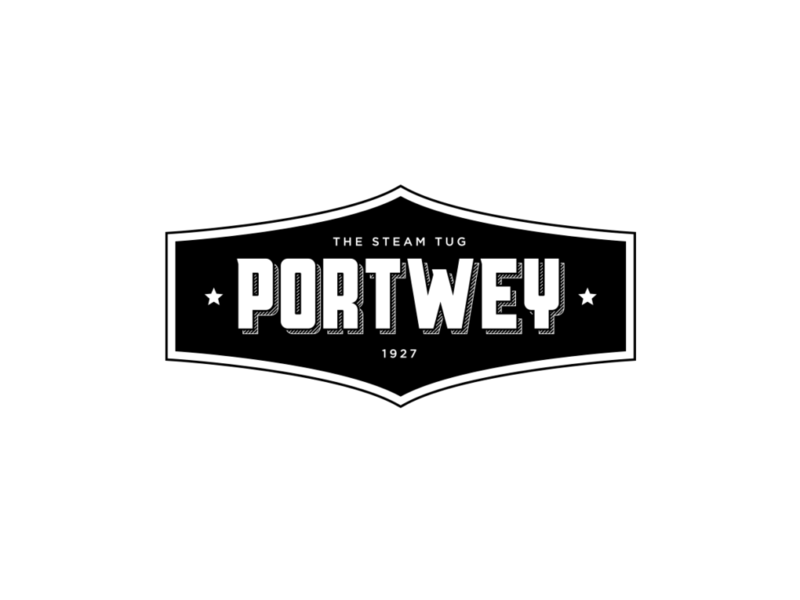 New identity for Portwey, the only twin screw, coal fired steam tug now active in the United Kingdom. 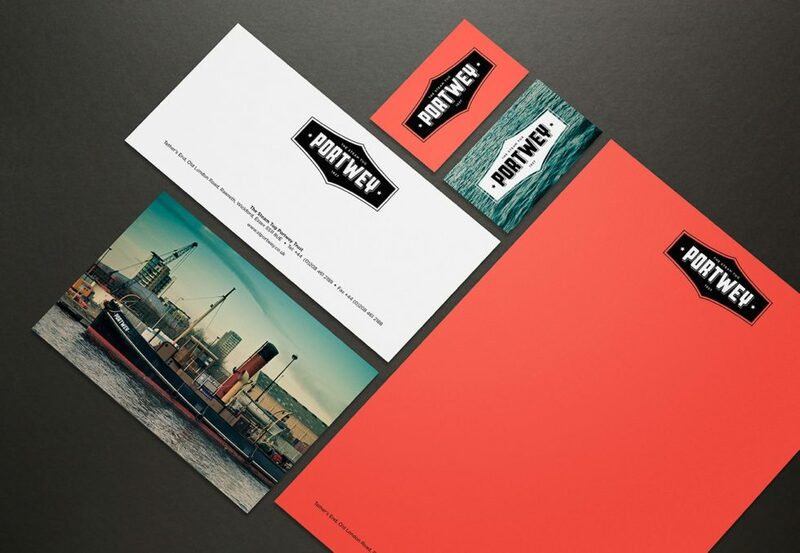 The industrial period of the early 21st century provided inspiration for the heavy typography. 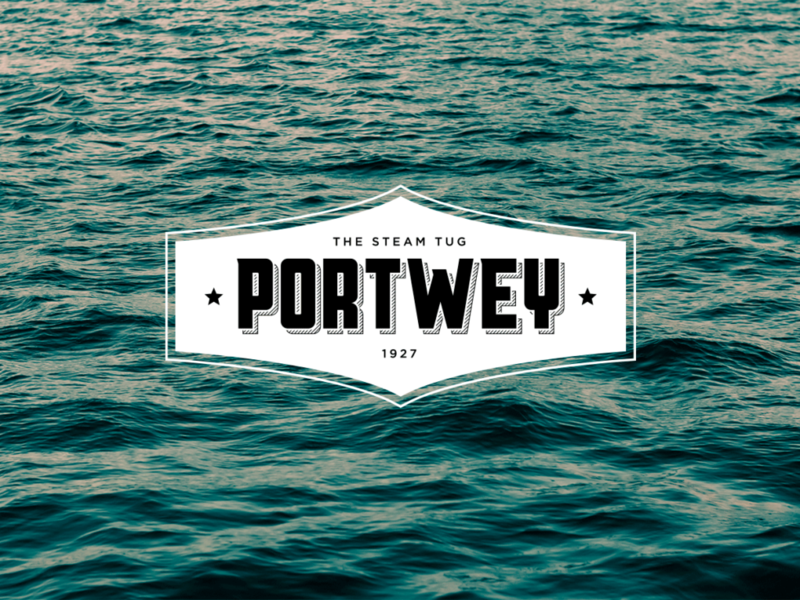 The wordmark is housed within a stylised plaque that comprises two peaks mirroring the shape of the boat.